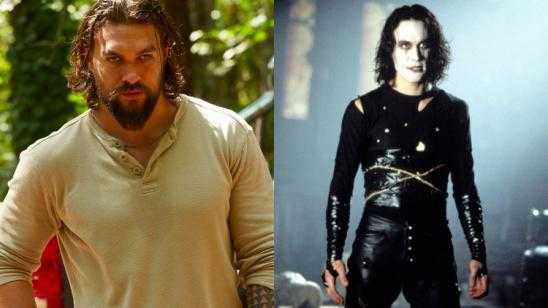 Jason Momoa Could Star In THE CROW Reboot!? The latest star to get aligned with Corin Hardy‘s The Crow Reboot is Jason Momoa. I think Momoa can nail the title role and deliver the goods with Hardy’s vision. This film should come out before Jason Wan‘s Aquaman (2018), so this reboot of The Crow should release before this movie. Momoa can make a mean/dark character, so I am thrilled to see what comes from this development. Official Synopsis: Eric, a poetic guitarist, is brought back to life by a crow a year after he and his fiancé are murdered.